They say time flies as you get older, and that's true. There goes January, and our new year's resolutions (oops we hope you are still on track). We are thrilled to bring you a massive giveaway to celebrate this February aka the month of love. Whether you are attached or not, there are so many reasons to celebrate love! People you care about, things you like to do, places you like to go, food you love to eat, what's not to love about love? This giveaway is for all of you who love being active, whether it's for the body or the soul, we hope these beautiful blue pieces from our latest collection will get you to a whole new level on your journey towards your goal! You know you need this outfit when it comes in a fun and energetic royal azure colour while not compromising on the feminine details. Featuring an open back and v-neck on the bra, side pockets and mesh panels on the tights, this just might be the source of motivation you need! Giveaway closes Fri, 9 February 2018, 11:59 PM AEDT. This giveaway is open to entrants worldwide. Winners will be chosen at random on 10th February, 2018. No cash redemption or substitution will be allowed. 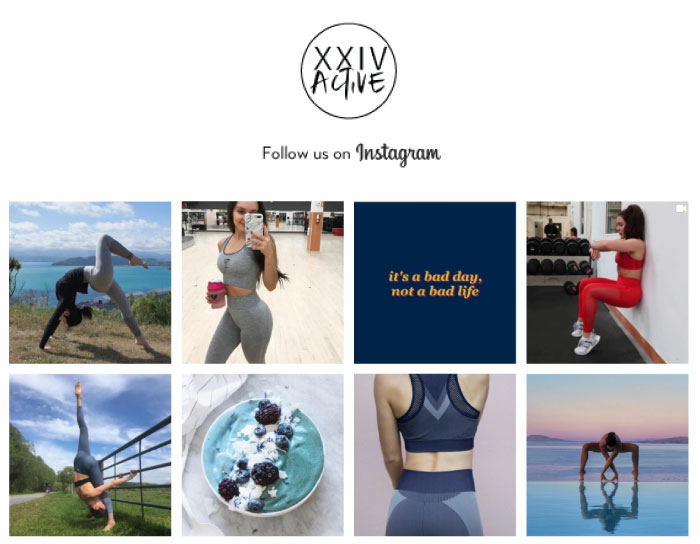 By entering your email address you agree to receive marketing emails from XXIV Active.